RopeCT 5A Output at various configurable amp ratings. The RCS-5A is an excellent alternative to standard 5A current transformers. The RCS-5A from Magnelab offers the ability to choose from several different amperage input ratings. This allows for flexibility when installing it in the field. Users can assess the needs on site, and depending on the current level that needs to be monitored, they can select the setting that works best for them. The RCS-5A can be ordered with a variety of different sized Rogowski coils. 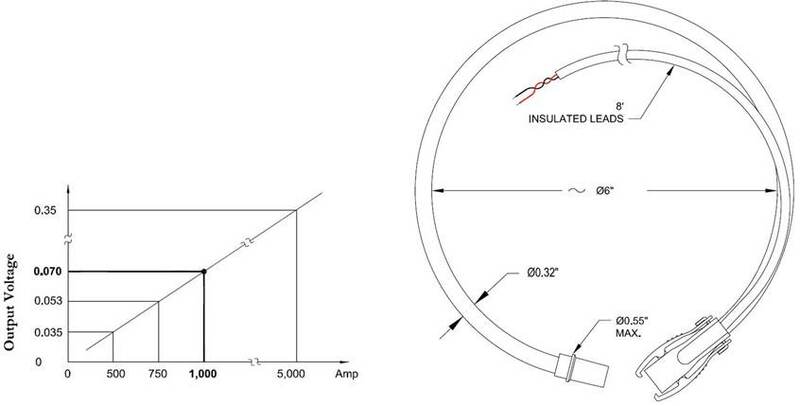 You can choose from Rogowski coils with 12″, 18″, 24″, or 36″ lengths (or round openings of roughly 4″, 6″, 8″, or 12″). The flexible Rogowski coil opens at the connector junction and may be installed on a bus bar or existing cable in a matter of seconds. The linearity accuracy of the RCT-5A is 0.5%. 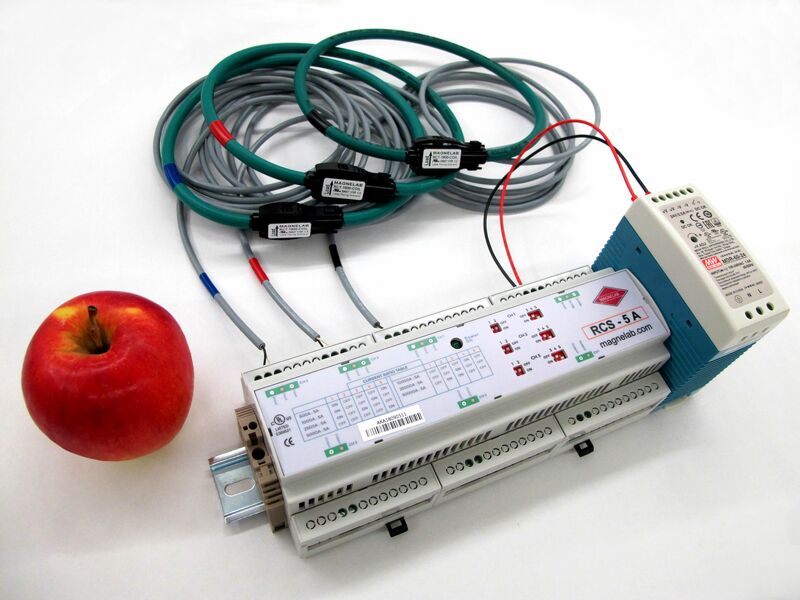 The RCS-5A Three Phase Rogowski Coil set requires external power and the power supply is included with the kit. This device is most commonly used in power meters, energy sub meters, condition monitoring, power quality monitoring and distributed measurement systems. 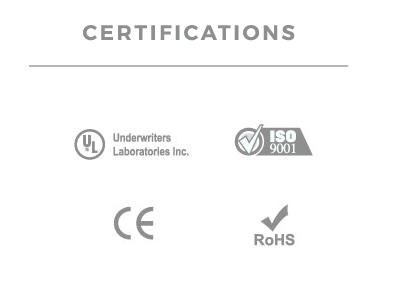 The RCS-5A is UL Listed, and RoHS compliant, as well as meeting CE and ISO standards. This product is made in the USA.